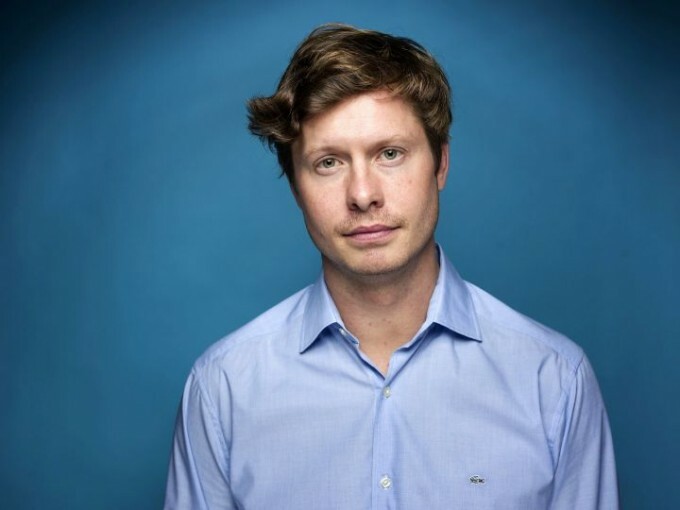 Anders Holm is best known as the star and co-creator of Comedy Central’s hit show Workaholics which all started with the sketch comedy group, Mail Order Comedy. He was most recently seen in the NBC show Champions in which he plays the title role. Anders previously had a reoccurring role on The Mindy Project as “Casey Peerson” and has also guest starred on the hit shows Brooklyn Nine-Nine, Arrested Development, Ghosted, Happy Together, Key & Peele, and ABC’s Modern Family. Anders stars in the Netflix film, GAME OVER, MAN! which he wrote, produced and stars in alongside his Workaholics co-stars, Adam Devine and Blake Anderson. He can now be seen in Judy Greer’s A HAPPENING OF MONUMENTAL PROPORTIONS alongside Katie Holmes and Jennifer Garner. Anders has starred alongside Dakota Johnson and Rebel Wilson in the Warner Bros. film, HOW TO BE SINGLE, as well as in THE INTERN, opposite Anne Hathaway and Robert DeNiro. In 2015, he starred in the indie feature UNEXPECTED with Cobie Smulders. He has also appeared in Columbia Pictures’ THE INTERVIEW with Seth Rogen and James Franco, Paul Thomas Anderson’s INHERENT VICE, and Chris Rock’s TOP FIVE. Next to his many acting credits, Anders also produced the Netflix feature THE PACKAGE.